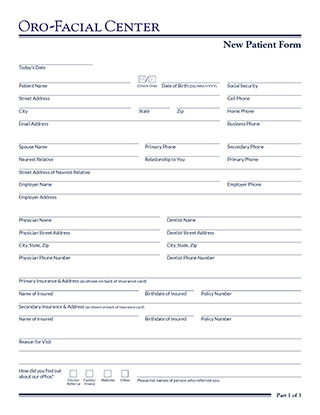 Click here to download our New Patient Form to help you see Dr. Davis quicker during your first vist with us. Feel free to call us with any questions you may have. Print and bring the form with you, or email the form back to us at info@orofacialcenter.com.